For a century and now entering in their fourth generation of farming, the Bonino family is still harvesting some of the most deliciously succulent tree- and vine-ripened fruits and vegetables that California ’s Santa Clara Valley is most famous for. Nothing at LJB Farms is force-ripened or frozen. Nothing at LJB Farms gets stored in some air-tight warehouse freezer room in order to slow or stop the ripening process for future profits. 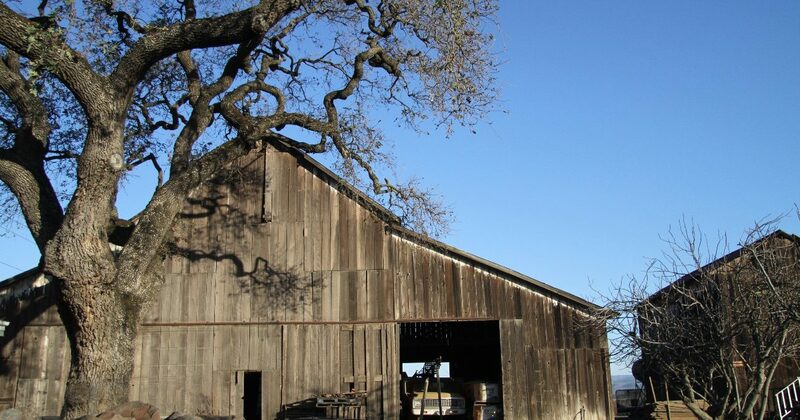 At LJB farms, it’s all about harvesting when Mother Nature says so, which is why the fruits and vegetables that come out of the old barn on Fitzgerald Avenue in San Martin are as memorable as grandma’s hot apple pie and as fresh as a home-grown garden. Just a 20-minute drive south of the high-tech hustle and bustle of San Jose, LJB Farms is a constant reminder of what yesteryear was like in America – just the way grandparents remember it, and just how Norman Rockwell would have painted it. LJB Farms takes you back to a time when the customer came first and friendships were often forged at the check stand. It’s that personal service and hometown feel combined with the brilliant array of the finest produce at exceptional prices that have made the small farm a cornerstone in the community for so many years. LJB farms personifies traditional farming the way it was intended to be, meaning that the fruits and vegetables get picked naturally; when nature ripens them on the vine. And that’s a major contrast to today’s modern methods where corporate greed often calls on the unnatural forcing of the ripening process in order to boost profits despite the obvious sacrific to taste.